Dr. Chen is a licensed clinical psychologist with passion and commitment in providing mental health services to children, youth, adults and families. She has 13+ years of extensive training and experience working with diverse children, adolescents, young adults and adults who struggle with emotional, behavioral and interpersonal difficulties including but not limited to anxiety, depression, complex trauma and grief and loss. She has provided individual and family therapy, in-patient and mental health consultations and crisis assessments in various settings of outpatient clinics, medical facilities and schools. As a bicultural and bilingual psychologist, Dr. Chen's areas of expertise include working with individuals and families who grapple with the impact of immigration, problems with acculturation and the tension of navigating between conflicting cultures, values and worlds. Her clinical and research interests consist of ethnic/cultural identity formation, and the integration and application of relational psychodynamic theories and techniques with a multicultural and social justice lens. 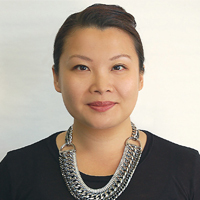 In addition to a private practice, Dr. Chen has worked at a community mental health agency in San Francisco as a therapist and supervising psychologist where she provided psychotherapy to child and adolescent clients and supervision to trainees and staff from different stages of their professional development. She also managed a school-based partnership that provides onsite mental health services to Special Education students in several SFUSD middle and high schools. Outside of her professional life, Dr. Chen enjoys travelling and unwinding by watching marathon reality TV shows. Other activities include spinning and boxing with her husband; and as a former New Yorker, she has passionate opinions about food, especially about bagels and pizza, and loves exploring culinary experiences throughout the Bay Area and around the world.